San Marcos, CA (June 7, 2012) – New Baja Designs A-Pillar mounts make for a perfect fit on the Polaris RZR XP 900 UTV. 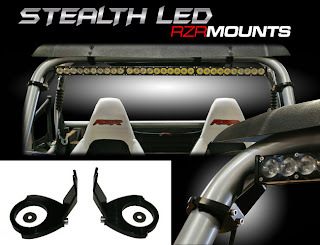 The strong A-Pillar mounts secure a Baja Designs 30″ Stealth LED light bar at the top of your RZR giving it a sleek look with an unobstructed view from the cockpit. 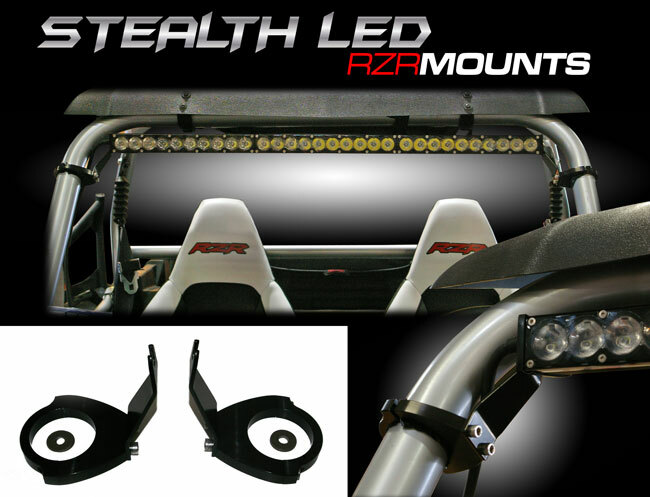 The complete mount kit is designed for an easy bolt-on installation, no welding required. This kit works with the stock Polaris RZR cage.